Popular Swedish melodic death metal band, In Flames, are due to release a new album called Battles through Nuclear Blast on November the 11th and to give fans a taste of what to expect, this single, Through My Eyes has been released. 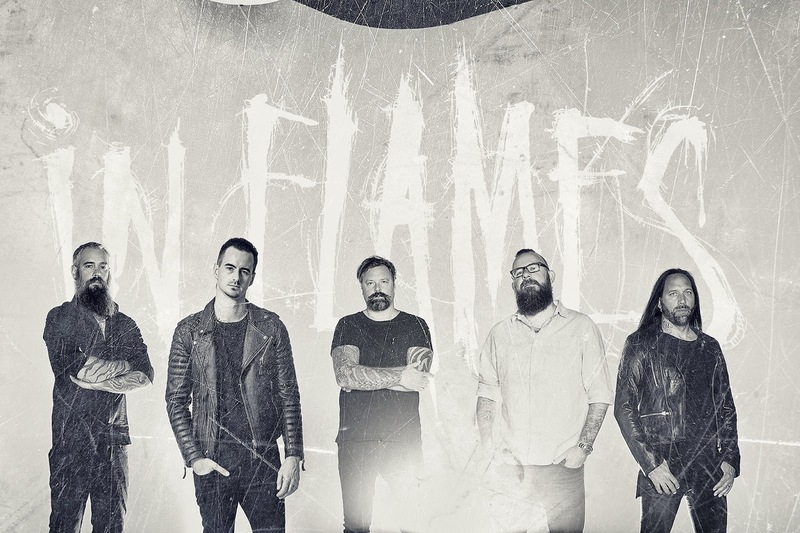 Despite their huge global following and the credit of being one of the pioneers of the melodic death metal genre, In Flames have also gathered a load of haters, as all popular bands inevitably do. That isn’t helped by the phenomenal turn around in band members where, including session musicians to date, there have been 6 singers, 5 rhythm guitarists, 3 lead guitarists, 5 bassists and a whopping 7 drummers. With that sort of turn around, well it is going to be hard to stick to a style, I imagine. For the haters though, there are those who claim that In Flames haven’t released a good album in years and those who claim they have moved too far away from their musical roots but will Through My Eyes do anything to silence the doubters? Through My Eyes is just under 4 minutes long and starts off promisingly with a brief crunch of drums before the riff joins in. It is a fast and thrashy start but a brief intro as Anders Friden’s vocals quickly take over. I do mean take over too. They are very loud and drown out the guitars almost completely. They are shouted but at quite a high octave so while it sounds good and it sounds heavy, I would prefer to hear the guitars too. The prechorus works well though as they vocals are more of a singing voice, not too soft but not shouted either. This drop in volume means the guitar work can be heard and makes the song more complete for me. The chorus is cool, with a catchy little rhythm and a nice guitar line playing over the top of some nifty drum work. When it returns to the verse again it suffers from the problem of losing the music under the vocals again but the second verse is short so it doesn’t impact too much. Another cool chorus leads into a riff heavy breakdown which sounds good and leads into a very cool guitar solo from Bjorn Gelotte on the axe. Back to the catchy pre chorus followed by the even catchier chorus which is repeated through to the end. For me, the track is okay but that is about it. There were moments I liked and moments I didn’t. There just isn’t anything that memorable here other than a couple bits I wasn’t too keen on. The vocals in the verse could do with being turned down a notch and the bass could do with being turned up because I can’t hear it at all. I do like the solo and I do like the choruses very much. It does, to me, sound like In Flames so if you are a fan, you should definitely check this out as you may love it. If you aren’t a fan, I doubt this is the song that will convince you. Remember, support your metal or risk losing it!